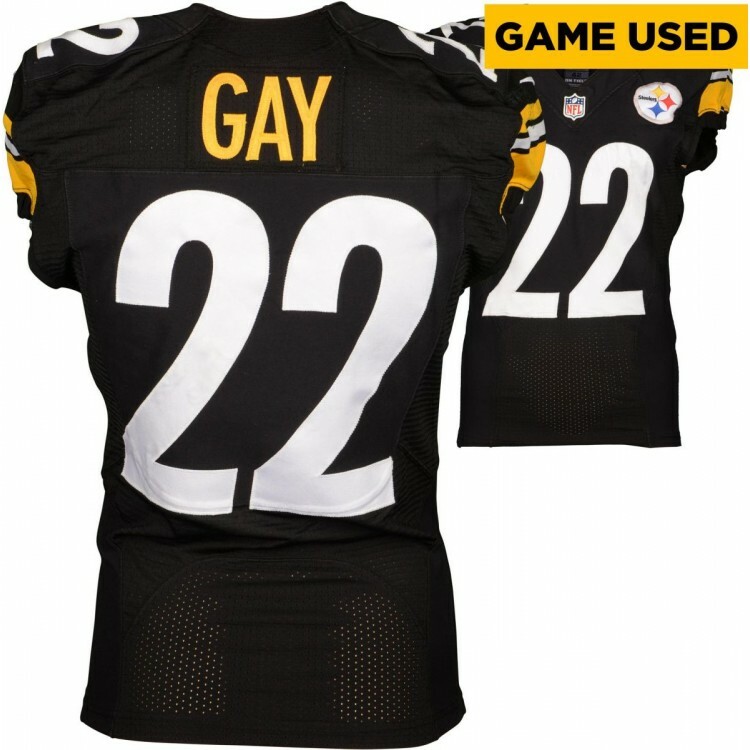 This game-used jersey was worn by William Gay during the 2014 NFL season. It is officially licensed by the NFL and comes with an individually-numbered, tamper-evident hologram from Fanatics Authentic. To ensure authenticity, the hologram can be verified online. This process helps to ensure that the product purchased is authentic and eliminates any possibility of duplication or fraud. This football has been personally hand-signed by Troy Aikman with the inscription "HOF 06." It is of.. This Riddell Chicago Bears mini helmet has been personally hand-signed by Hall of Fame defensive end.. This 8'' x 10'' photograph has been personally hand-signed by pitcher Tom Glavine with the inscripti..
Pillow is 17â x 17â, 100% Polyester Cover and Fill. Sidelines is trimmed in teamâ™s secondary colo..
Shawn Matthias of the Florida Panthers lit the lamp with this puck against the Toronto Maple Leafs o.. This 8'' x 10'' photograph collection has been personally hand-signed by Hall of Fame pitcher Nolan .. This jersey has been personally hand-signed by running back Ryan Tannehill. It is officially license.. Here's the original cover art from Navy's 1964 Season Press Guide -- vibrant colors restored, team s.. This 8'' x 10'' photograph has been personally hand-signed by Ronnie Lott. It is officially licensed..